The Australian Government's Department of Infrastructure, Regional Development and Cities is seeking applications for the second round of its Business Case Program for Location-Specific Heavy Vehicle Charging Trials. Councils, industry and stakeholders can apply for funding to develop a business case to test the willingness of heavy vehicle road users to pay an additional charge for a productivity benefit from a road upgrade. Visit the department’s website to download an application form. Submissions close 15 February 2019. ALGA seeks motions to be submitted for the National General Assembly taking place from 16 June 2019 on the theme ‘Future Focused’. A discussion paper is available with more details on the theme and submission guidelines (7 December 2018). Information, examples and decisions of note have been collated to help councils provide comments on liquor licence applications. A new guide has been released to assist councils in preparing these comments, which assist the Commissioner for Liquor and Gaming in making decisions on applications. The new guide can be downloaded here, or accessed at the at the Office of Liquor and Gaming Regulation's website (15 January 2019). State and local governments were working together to deliver better planning outcomes for Queensland through the fund. To learn more about the fund, including the full list of successful applications, visit Queensland’s Planning System website (11 January 2019). The NSW Government has accepted all 19 recommendations made by former NSW Deputy Police Commissioner Nick Kaldas in his recently-published Review of Governance in the Planning System, including local planning panels. The full report is available here (9 January 2019). (1) A hearing be dispensed with pursuant to s 470 of the Local Government Act 1993 (NSW). (2) Grounds One of the application is established. (3) The respondent is reprimanded. TRADES AND OCCUPATIONS – Failure to declare pecuniary interest. 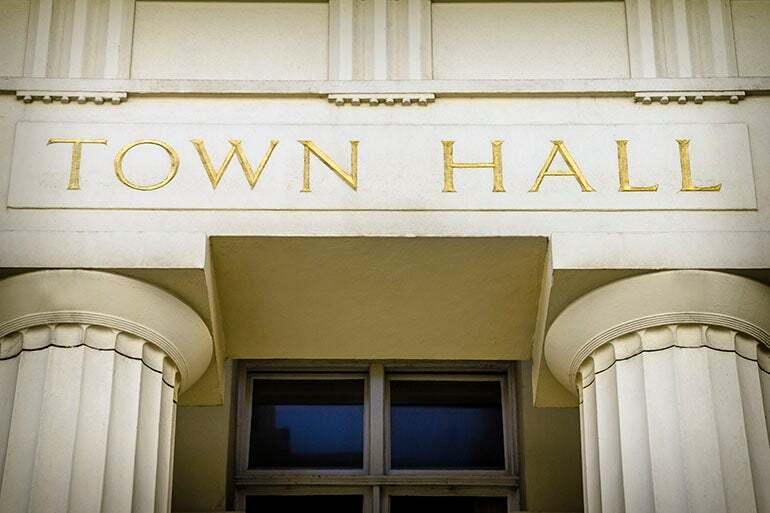 PRACTICE AND PROCEDURE – Dispensing with a hearing pursuant to s 470 of the Local Government Act 1993 (NSW). DEVELOPMENT APPLICATION – Boarding house – traffic and parking – whether the character of the proposed development is compatible with the local area – whether sight lines for vehicles exiting the site are acceptable. DEVELOPMENT APPLICATION – Proposal to create dual occupancy (attached – affordable rental housing – whether inconsistency between provisions of Ryde Local Environmental Plan and State Environmental Planning Policy (Affordable Rental Housing) 2009 – compatibility with character of the local area). DEVELOPMENT APPLICATION – Boarding house – whether the character of the proposed development is compatible with the local area – whether Northern Beaches Hospital Precinct Structure Plan merits weight in evaluation of a development application – whether implementation of the Northern Beaches Hospital Precinct Structure Plan is certain and imminent. DEVELOPMENT APPLICATION – Strata subdivision – dual occupancy – existing dwellings – consistency with Masterplan – character – precedence. SENTENCE – Contempt of court – failure to comply with terms of consent orders to remove scrap materials from premises – plea of guilty – whether contempt wilful or contumacious – in circumstances of intentional and ongoing offending, disregard of Council, amenity impacts and health risk of offence, and contemnor’s deceptive behaviour to Court and counsel, contempt characterised as contumacious – custodial sentence appropriate but for the contemnor’s age and infirmity – ability to pay fine – fine imposed – additional monthly penalty until contempt purged – costs on an indemnity basis. APPEAL – Development application – child care centre – whether unreasonable impact on traffic or parking – whether simulated outdoor play area acceptable – whether outdoor play areas adequate – restraints in utilising play areas in order to control acoustic impact - whether plan of management can be complied with. JOINDER – Application for joinder – statutory tests – issues proposed to be raised by Applicants for Joinder – interests of justice – public interest – application dismissed. VALUATION OF LAND – Valuation methodology – whether “piecemeal” or “before and after” approach is most appropriate – degree of flood affectation and effect on development potential – extent to which potential purchaser would seek advice on flood affectation – parameters of “public purpose for which the land was acquired” per s 56(1)(a) of the Valuation of Land (Just Terms Compensation) Act 1991 – whether statutory disregard in this instance requires that s 94 contributions plan, or SEPP or Council flood mapping, be disregarded – statutory disregard of public purpose applies only to the land that has been acquired – whether changed access arrangements constituted injurious affection – whether any betterment offset injurious affection. TREES (DISPUTES BETWEEN NEIGHBOURS) – Hedge – obstruction of sunlight not severe. CONSENT ORDERS – Residential flat building – existing use rights – merits assessment – retention of affordable rental housing. MODIFICATION APPLICATION AND DEVELOPMENT CONTROL ORDER – Change roof cladding material and colour – impact on heritage significance of the heritage conservation area. TREES (DISPUTES BETWEEN NEIGHBOURS) – Hedge – tiger grass – obstruction of views. OFFENCES AND PENALTIES – Sentence – knowingly harming an Aboriginal object – culturally modified scar tree – cutting down and removal of scar tree – restorative justice intervention in sentencing process – objective circumstances of the offence – undermining the statutory objects to conserve Aboriginal cultural heritage – significantly increased maximum penalty – substantial harm caused – practical measures to prevent harm – control over causes of offence – offence committed recklessly – medium objective seriousness – subjective circumstances of the offender – lack of prior convictions – early plea of guilty – remorse for the offence – assistance to authorities – unlikely to reoffend – retributive, preventative, reparative and restorative purposes of sentencing – monetary penalty directed to Aboriginal cultural heritage projects – publication and notification orders – order to establish training courses – payment of costs. SENTENCING – Restorative justice conference – process for – agreement reached – use of conference and agreement in sentencing.